In 1851, a small orphanage opened in what would become Lackawanna, New York, to care for the rising number of orphaned and abandoned children. By the 1860's, the Institutions expanded to include a larger orphanage building and a protectory for wayward boys. In 1882, Father Baker became the first true administrator of the Institutions and grew his "City of Charity" to address the ever-changing social concerns of the time. OLV Infant Home served as a safe haven for unwed mothers from across the country, as well as for thousands of abandoned babies who were cared for and placed for adoption. OLV Hospital, which started as a maternity hospital, evolved to serve the comprehensive medical needs of the general community. 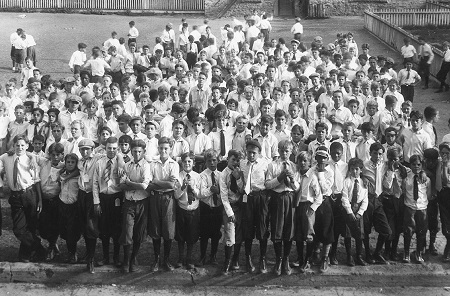 The Working Boys' Home taught countless young men valuable trades and laid the foundation for their independence and success as adults. And, of course, Our Lady of Victory National Shrine and Basilica was built as a magnificent symbol of his devotion to and thanksgiving for the intercession of the Blessed Mother. Father Baker oversaw the Institutions for more than 60 years. Upon his death in 1936, it was estimated that he cared for more than 100,000 "Baker Boys," 600 unwed mothers and placed more than 6,000 infants into loving homes. 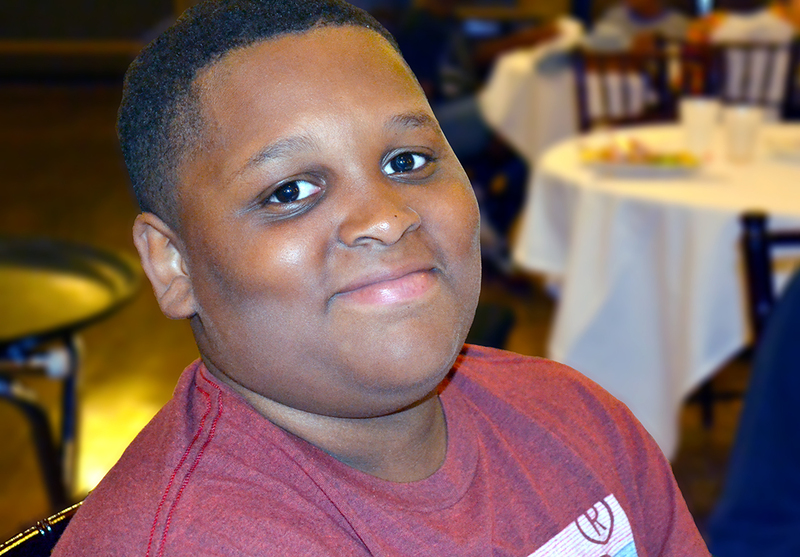 More than 160 years after its start, "Father Baker's" continues to provide help to those in need under the banner of Baker Victory Services (BVS), a vast organization that cares for more than 4,000 children, teens, individuals with developmentally disabilities and families on an annual basis. Programs and services include mental and behavioral health, developmental disabilities, early childhood special education programs, school-age (K-12) education, foster care and vocational/employment training. The campus at Ridge Road is also home to a specialized Dental Center that provides care for the special needs and low-income patients within the community. In addition, the mobile dental program offers preventive and restorative dental care to underserved children and refugees, populations that often lack access to this critical health need. Last year alone, the dental programs provided nearly 20,000 procedures for more than 7,000 patients. Mental and behavioral health services were provided to 450 children, young adults and mothers. Approximately 100 individuals with developmental and intellectual disabilities lived in the agency's residential homes located throughout Erie County. The relatively new Memory Care Home provided housing to a unique population - individuals with developmental disabilities AND dementia /Alzheimer's. About 1,200 children (ages 2-5) received early childhood special education services such as early intervention therapies. 392 students (K-12) were referred to BVS by local school districts to attend its three schools servicing youth with intellectual, emotional, or developmental disabilities. Vocational and Employment Services, including career exploration and job readiness, were provided to more than 250 teens and young adults. The Preventive Services program provides counseling to dozens of at-risk families with the critical mission of keeping them together. • Direct Mail - Nearly 2.5 million pieces of mail are sent out throughout the U.S. and Canada each year. • Grants & Major Gifts - Grant funding from foundations and large gifts from corporate partners and individual donors. • Planned Giving - Benefactors support the Homes through donations of stock and property, bequests, charitable trusts and gift annuities. • Special Events - Agency events act as both fundraisers and "friend"- raisers, drawing nearly 900 attendees on an annual basis. For more information on the work of Baker Victory Services, the evolution of Father Baker's legacy of caring, check out the BVS website.